A 5.5 mile hike leads you alongside the Chattahoochee River and through its sloping forested banks. 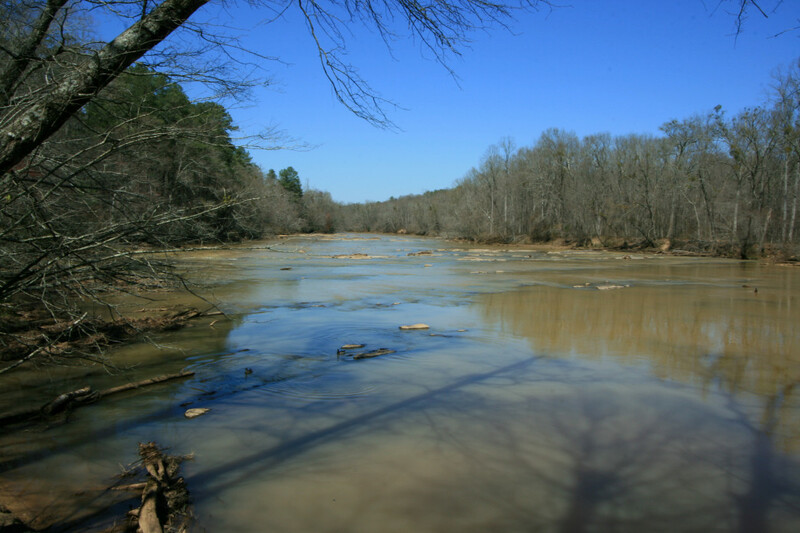 Island Ford is known for its beautiful hike alongside the Chattahoochee River. The south section of the trail is compact, following flat beside the banks. As you move northeast, the trail will eventually depart from the river and lead you into the woods. You’ll follow a single-track ridge through the sloping forests on a packed dirt trail. This is a easy hike with modest elevation gain, and you’ll encounter hardly any roots. During the wooded section of your hike, you’ll cross over both Summerbrook Creek and Beech Creek. If you hike the whole trail, the total distance is 5.5 miles. Hiking alongside the Chattahoochee River provides its own share of experiences. In the summer, you’ll see kayakers, stand-up paddlers and tubers floating down the river. In the winter, even if the temperatures are cold, there are a few brave souls out fly-fishing. Canadian geese and ducks enjoy playing, no matter the time of year, and if you go in early morning, otters or beavers can be spotted along the banks. The trail is flanked with several large boulders that seem to be carved in a C-shape from past river floodings. These boulders are fun to try your hand at climbing, or act as a shelter if you get caught in the rain. Island Ford’s trails are easy to navigate and are comprised of several figure eight loops. 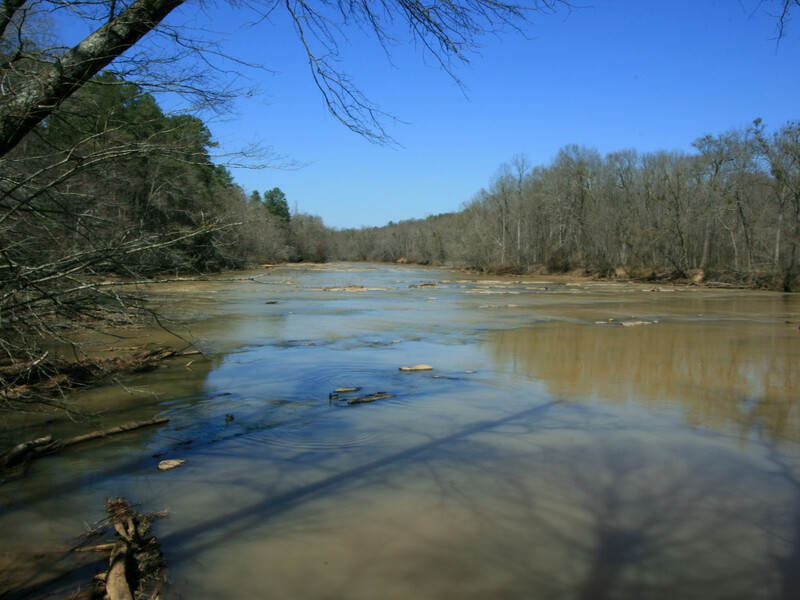 Hikers who enjoy the serenity of the Chattahoochee River will like trekking right alongside its banks. You’ll find a few openings where you can sink a line to fish, or clamber out onto the larger rocks on the river. Once you pull into the park on Island Ford Parkway, you’ll have several parking lots to choose from. The closest lot, on the right shortly after you come in, gives access to the northern section of the trail, IF20, where you can cut your hike shorter by forgoing the southern section. The main parking lot is located by the Hewlett Lodge Island Ford visitor center. This includes the ranger station with bathroom facilities and picnic tables. Island Ford is part of the Chattahoochee National Recreation Area, so there is a $3 parking fee for all vehicles, unless you have a park pass.